This is a post I wrote the first year I had started blogging. the very visible continuum of just one family. And I wish for each of you a very Merry Christmas! I hope everyone had a very nice Christmas–despite the wicked weather and UPS delays. . .
it all is now but a mere blur. Now more people are coming today. . .
eating, shopping, football, eating, celebrating, eating, then departing some time next week. 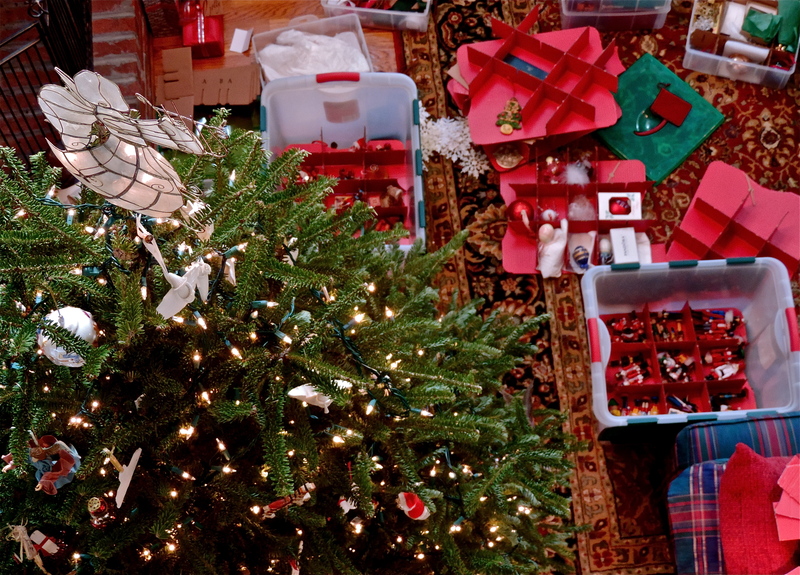 I have worked feverishly to purge my house of Christmas. all before New Year’s Eve. down steps, carrying out to the trash…yet another Christmas. I become a one-woman demolition team. I like my world just so. I’m not one of those people who creates a “themed” tree. then as a little boy coming to now, with an engaged couple ornament. There are the ornaments from various travels and those of various countries. It seems each ornament has a story. There is the nutcracker ornament my dad gave me shortly after mother died. Dad carried on the tradition when I was older by giving me a nutcracker ornament. There are the ornaments that were a part of the trees from throughout my childhood. and of my life today. I have to glue back on year after year. There are the ornaments that various students have given me over the years. gaily wrapped package each student proudly presented. makes each received present truly special and one of a kind. I can recall each face as I gently lift the various balls and figures from the tree. I cherished those ornaments all those many years ago, so proud that they had thought of me. remembrance was always extra special. following the death of my brother. cheap and homemade and yet they tell quite a story. at the time, I did not know. She had decided to call it quits mid-year in 1982. University of Georgia to further her degree. Eventually, I would make the school and the community my home and my life for 31 years. should make their own spending money even at the ripe old age of 7. One Christmas the youngest boy wanted some Lego kits. In order to make some spending money, she had him make Christmas ornaments. I bought 2 at a $1.00 a piece. Several years following the sale of snowmen, she was diagnosed with cancer. She raged a valiant fight, but the battle proved too much. a very distraught husband and father. his wife, each year I place the snowmen in a prominent position on our tree. With tears flowing down his face, he simply hugged me. That seems like such a long time ago. I am constantly reminded of what was—-for happy or sad. I am glad to have a tree that tells a story—and delightfully it is a continuous story. constant continuum–-with each year building upon the previous year. be continued by those who follow suit. The story of a family, as told by a tree. . .
On the first day of Christmas….blah, blah, blah…..
See this garish, yet oh so festive green, red and white bedecked ball of plastic?? I began having the capacity to actually remember memories…..
ornaments and lights from our attic. Down came the stuffed Coca Cola Santa who would sit on the fireplace hearth. Down came our stockings knitted by my aunt. Down came all manner of bauble and ball. a really dumb place to keep real keepsakes…. You know how hot it gets in Georgia in the summers right?? we made in kindergarten didn’t much survive past grade school…??? albeit now colorful, days of floury finery….??? very still while she maneuvered boxes both up and down. I now marvel at how Mother never fell and broke her neck. She’d survey the contents determining the survivors and discarding the broken. as in with a thumb tack in the door frame. You get kissed by someone magical and special under that mistletoe??? each evening when he’d return home from work throughout the holidays…. certainly thought it was something every young girl would dream of…..
Fast forward about 50 years…. Mother’s tack still stuck on the strand. a stringer, I call for my husband to see my prize…. WHATEVER YOU DO, DON’T SEND THAT WITH ME TO THE STORE….CAN YOU IMAGINE THE SEXUAL HARASSMENT CRIES IF I HUNG THAT UP IN THE STORE?????????!!!!!!!!! off its freaking rocker society…. I wanted to share a story I read yesterday out of the News…. a story coming out of Fort Walton, FL…. roadkill ever since I can remember…. 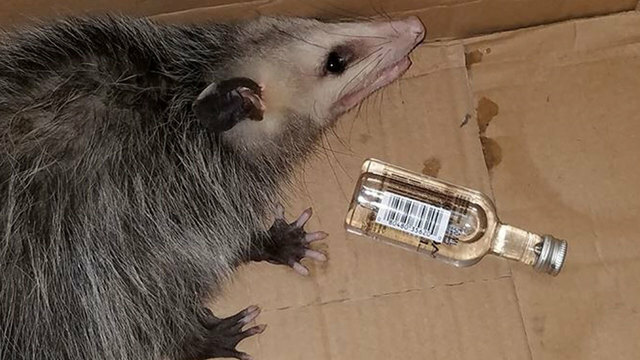 It seems a possum found its way into a Liquor store in Fort Walton. Or actually found its way into the ceiling of the building. 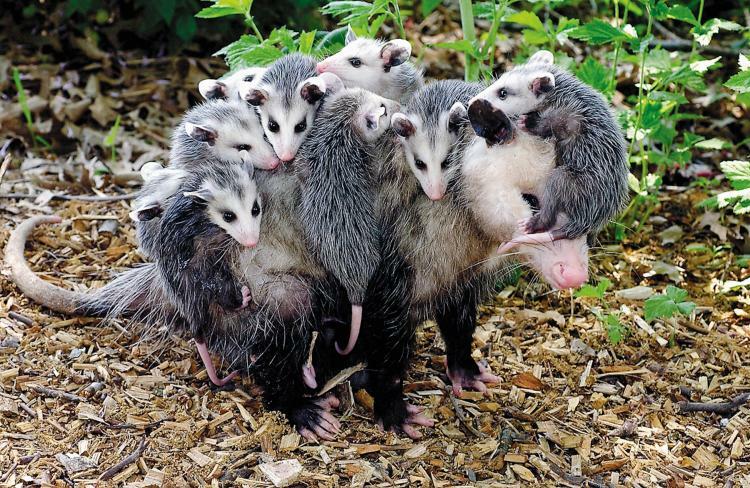 Yet it appears that this possum fell out of the ceiling…. Falling onto some bottles of whiskey—of which broke. a possum who just so happened to have lapped up all that spilt liquor. the staggering and very sloppy drunk marsupial. They in turn had to give the sot possum a bag of IV fluids to flush the alcohol from its system. Merry Christmas to all and to all no more bourbon tonight!!!! all you upright in heart! leave it any way except a slow way, leave it the fastest way you can. caught lingering between the twinkling lights. transporting the now to the then. the flood of what once was cascades down upon the unexpected. as a clock chimes upon a stocking draped mantle. bridging both space and time…yet caught between a sea of red and green. arranged ever just so, inviting all to come behold. As a Mystery breaks through the barriers of both life and death. “The lack of mystery in our modern life is our downfall and our poverty. A human life is worth as much as the respect it holds for the mystery. We retain the child in us to the extent that we honor the mystery. because they know that they are surrounded by the mystery. they still don’t know how to struggle along and avoid the mystery, as we do. it means passing over our own hidden qualities and those of others and the world. and exploited, and not going beyond the world of calculation and exploitation. “Remembrance and reflection how allied! It is at this particular time of year that our memories of times and loved ones long past, now seemingly forgotten, seem more clear and potent than at any other time. Waves of melancholy collide into the crashing tides of joy leaving us with both tears and warm smiles mingling lightly upon the heart. Recollections of the vignettes of a life once lived, a life which once seemed so far away, races rapidly now to the forefront of thought. or merely recall their presence in our hearts, the often endless expanse of space and time miraculously narrows each year at Christmas. Each year it’s always the same. As the musty dusty boxes are brought down from the attic, a grand anticipation, filled with the buzzing of electricity, sweeps throughout the house. And despite the fact that I am the only one usually around bringing the boxes down from the dark recesses of the attic, praying I don’t fall down the stairs breaking anything vital to life and mobility, as that is now not merely a remote possibility but a more plausible concern, the anticipation is still just as grand. The decorating of Christmas, or any holiday for that matter, has never been the great family affair as I suspect it is for other households. No helping hands or delegating of assignments here. 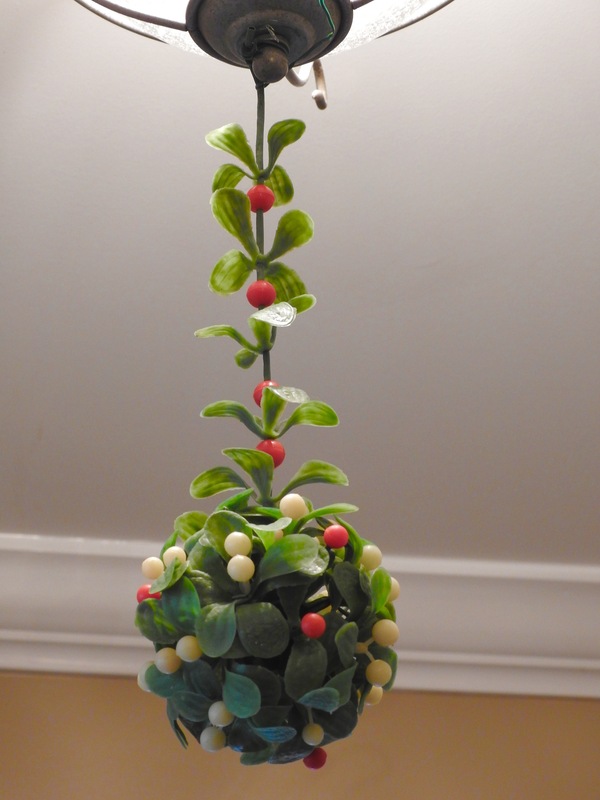 The trimming of trees and the placing of festive garlands and boughs of holly was first the responsibility of my mother, and now the task has fallen to me. Of which is just fine and dandy by me as I enjoy the oohs and ahhs of family once they venture homeward feasting their eyes on my handiwork. Yet I should confess that often there can be heard a bit of fussing and cussing on my part as I labor to “make merry”—all the while mumbling “what is the point of this. . .why do we do this every year. . .I’m getting too old for this. . .yada, yada, yada—the litany of complaints goes on and on. . . that is, until I finally plug everything in and flip every switch, standing back to bask in the glittery, sparkly, twinkly wonderment known as holiday magic. I suspect a very big part of the reason as to why we, you and I, continue on with traditions such as tree trimming and decorating has a lot to do with a much deeper and more intrinsic reason than merely the marking of a particular day on a calendar. For me there are three tiny important pieces to the holiday decorating puzzle, otherwise known as ornaments, which must always be the first to be pulled out from their tomb–otherwise known as their storage box. There had once been a few more of these “puzzle” pieces but the ravages of time, heat, cold and humidity have all taken their toll. Each of these remaining treasured ornaments are handled as if by a curator who might be cradling some ancient manuscript or long past treasure merely minus the white gloves. Delicately unwrapping each sacred piece from the tissue paper, which has tightly protected these heirlooms for the past 11.5 months of the year, lovingly removing and now freeing each one. The first precious treasure is a fragile tattered yellowing piece of paper which had been “colored” orange by a certain Crayola toting 3 year old sunday schooler from very long ago. 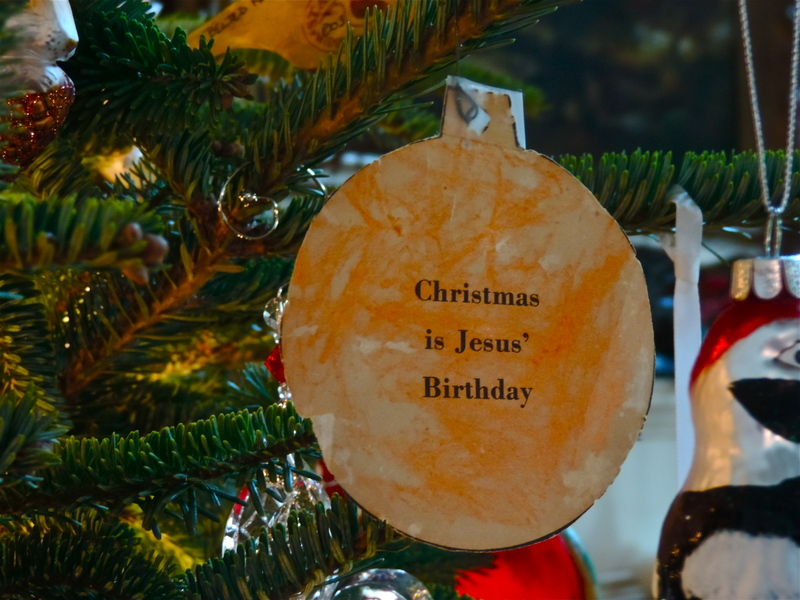 It is marked with the printed words “Christmas is Jesus’ Birthday”. This is the first ornament which must don the tree each and every year as it proclaims the very reason as to why there is a tree for decorating in the first place. The second treasure is a tiny broken plastic manger complete with a little bitty teeny tiny Mary, Joseph, baby Jesus joined by a couple tiny sheep thrown in for good measure. The manger is accented with a small gold shooting star which is now haphazardly reattached with wire. It is the first “gift” I can recall receiving outside of family gifts. A small token of a long ago and far away preschool sunday school Christmas party. And lastly there is a small pink clay heart, complete with the prints of tiny fingers and thumbs now frozen for all eternity, topped off with a makeshift copper wire hanger. My mother, in her inestimable wisdom, wrote my name across the heart along with the year, 1965 in a ball point pen. I was all of either 5 or 6 and we had made the clay ornaments at school as part of our Christmas festivities. It is a simple air dried old school brown piece of clay and therefore very fragile. 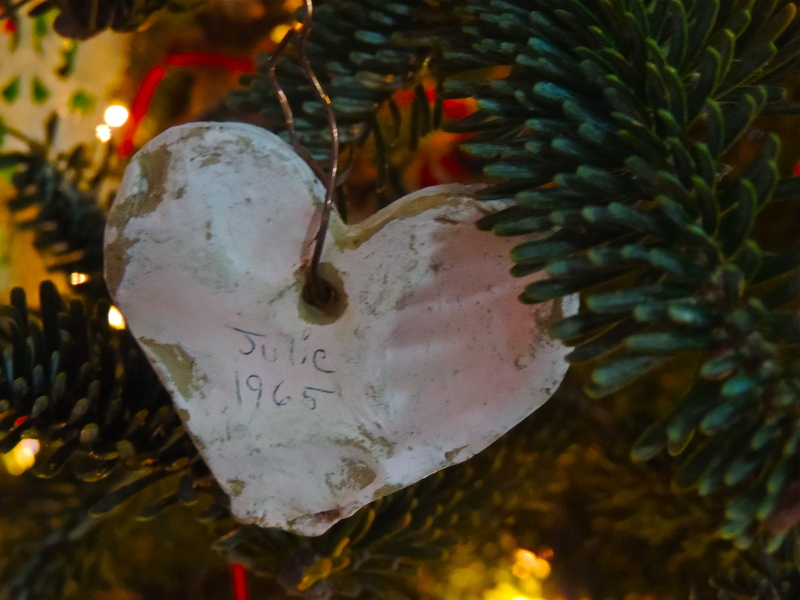 As to why I would make a heart, painting it pink as a Christmas ornament, is beyond my soul, but the fact that it still survives is testament enough. After I had moved away, married and started my own holiday traditions, I asked Mother if I could take those couple of ornaments with me as they were my link to all of my Christmases past. The life line connecting what was, what I was and to the now growing present and future of who I am and who I was to become. That’s what Christmas is. . .it is a tie that binds. It is the link to our past–it is our heritage as well as our inheritance—as adopted children, adopted through and by Grace, Christmas joins us, unites us, binds us to and with the birth of our only hope, our future, our salvation. And because we are an often forgetful lot, we need reminding of this, year after year as the joy becomes overwhelmingly new, refreshingly clear and abundantly miraculous. And so, as I continue placing these dear treasures and precious pieces of my holiday puzzle on our tree after tree, year after year, I continue by adding new links to this puzzle of my life, pieces both past and future. 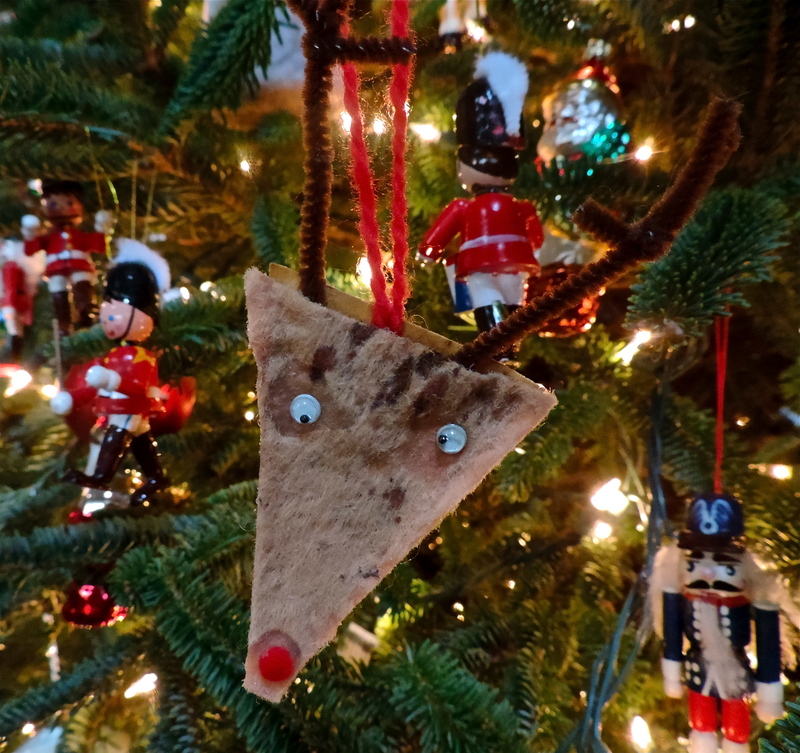 One of my favorites being the dorito chip shaped reindeer made by my once 4 year old son. Each year, as I gingerly place this happy little reindeer on our tree, I feel the presence of a little boy, now grown man, excited, proud and awed to have his little pieces added to our puzzle of life’s continuum. For he chose us in him before the creation of the world to be holy and blameless in his sight. In love he predestined us for adoption to sonship through Jesus Christ, in accordance with his pleasure and will— to the praise of his glorious grace, which he has freely given us in the One he loves. In him we have redemption through his blood, the forgiveness of sins, in accordance with the riches of God’s grace that he lavished on us. With all wisdom and understanding, he made known to us the mystery of his will according to his good pleasure, which he purposed in Christ, to be put into effect when the times reach their fulfillment—to bring unity to all things in heaven and on earth under Christ. It seems that life here was so hectic leading up to Christmas Day that my memory of it all is now but a mere blur. People came, they ate, they slept, they ate, they exchanged gifts, they ate some more—then they departed. Now more people are coming today. . . where there will be, no doubt, more eating, sleeping, eating, gift giving, eating, shopping, football, eating, celebrating, eating, then departing sometime next week. Whew! In between the shifts of company coming and going, I have worked feverishly to purge my house of Christmas. My mother always said you couldn’t carry anything from the old year into the new year so all Christmas decorations–the tree, the lights, etc, must be down and packed away all before New Year’s eve. I worked like a crazy person on “Boxing Day”–boxing up, packing away, hauling up and down steps, carrying out to the trash.. . yet another Christmas. As “my people” never seem to be home when it’s time to decorate or time to take down, I become a one woman demolition team. It also doesn’t help that I really don’t like my world being turned upside down with the rearranging, moving, adding and taking away which results from decorating for a holiday. I like my world just so. As it came time for me to dismantle the tree (and yes, our’s is a live tree), I couldn’t help feeling a bit wistful as well as somewhat nostalgic–even as I lugged all of the ornaments boxes, once again, out of the attic, spreading them out all over the floor. I’m not one of those people who creates a “themed” tree. Our tree is a hodge lodge tree full of ornaments dating back to a sunday school class in 1963 when I was a little girl—the ornaments create a bit of a time-line, moving forward through college, on to the ornaments of the newly married followed by the ornaments of our son as a baby then as a little boy coming to now, with an engaged couple ornament. There are the ornaments from various travels and those of various countries. There are the ornaments from my students throughout the years and the cherished ornaments from friends. . . It seems each ornament has a story. There is the nutcracker ornament my dad gave me shortly after mother died. 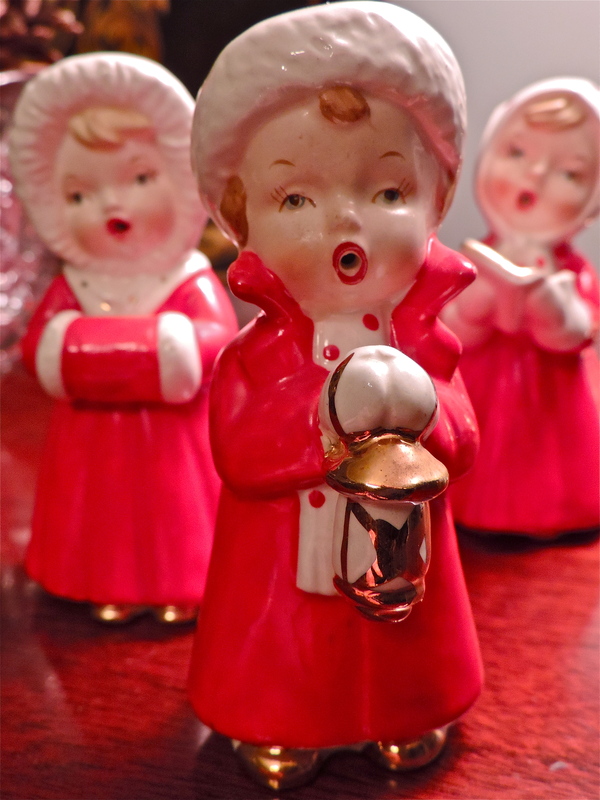 I had collected nutcrackers when I was a young girl as Santa would bring me a beautifully painted German nutcracker each Christmas– Dad carried on the tradition when I was older by giving me a nutcracker ornament. I found myself a little sad yesterday as I reached for my nutcracker ornament, gently lifting him from the tree then tenderly placing him in his designated place in the ornament box— thinking about Dad when he actually “thought”–unlike Christmas Day this year when he was just a shell of his former self as my stepmother recounted trough tears the ordeal of dad having lost the car keys this past week—thankfully no, he’s no longer driving–but hence the debacle of his having lost the keys that he doesn’t even use. . . There are the ornaments that were a part of the trees from throughout my childhood. They are, to me, mother’s ornaments which now tie a piece of her to my own trees and of my life today. There are her little porcelain British regiment soldiers whose heads I have to glue back on year after year. There are even the little glass santa snowmen with the goggly eyes that were actually my grandmothers–and the painted easter eggs that belonged to my other grandmother. There are the ornaments that various students have given me over the years. As I remove each ornament, I can remember each student as if I’m suddenly being transported to the very spot in the classroom or office when I first opened the gaily wrapped package each student proudly presented. It’s not as common for high schoolers to give their teachers gifts–therefore making each received present truly special and one of a kind. I can recall each face as I gently lift the various balls and figures from the tree. There are the nativity scene ornaments which my godparents gave me when I was in high school. I cherished those ornaments all those many years ago, so proud that they had thought of me. He was the dean of a massive Episcopal Cathedral so for me to have received such a remembrance was always extra special. There is the collection of the porcelain angels, with one being what a friend gave me following the death of my brother. There are the beautifully fragile glass Santas, the hand carved birds from Vermont. . .and there are the two tongue depressors turned snowmen that at first glance look quite cheap and homemade and yet they tell quite a story. I actually first came about my life here in Carrollton by way of another teacher who, at the time, I did not know. She had decided to call it quits mid year in 1982. She was the art teacher of the local high school here and was married to one of the history teachers. She had decided to leave mid year in order to go back to school at the University of Georgia to further her degree. I was the young, freshly graduated, college kid from Atlanta who was hired as the replacement. Eventually I would make the school and the community my home and my life for 31 years. When her two sons were little boys she was the type of mom who believed that the boys should make their own spending money even at the ripe old age of 7. One Christmas the youngest boy wanted some lego kits. In order to make some spending money she had him make Christmas ornaments. After school, one afternoon, she escorted him from classroom to classroom selling his tongue depressor snowmen. I felt rather sorry for him as he was so quiet and shy, whereas she was rather flamboyant and quite “artsy”— I bought 2 at a $1.00 a piece. Several years following the sale of snowmen, she was diagnosed with cancer. She raged a valiant fight, but the battle proved too much. She departed this life leaving behind her then teenaged sons and their dad, a very distraught husband and father. A couple of years ago, just prior to my retiring, I finally told my colleague, her widowed husband, the story of the tongue depressors and how, to now honor his wife, each year I place the snowmen in a prominent position on our tree. With tears flowing down his face, he simply hugged me. That seems like such a long time ago. Each year as I put up the tree, only to be followed by the taking down of the tree, I am constantly reminded of what was—for happy or sad. I am glad to have a tree that tells a story—and delightfully it is a continuous story. There is indeed a beginning, but thankfully, there is no end as it is a constant continuum–with each year building upon the previous year. Throughout the long year, from Christmas to Christmas, there are adventures that usually witness the procuring of some new trinket intended for a future tree. These mementos are squirreled away until the designated time when they are pulled out of drawers and cabinets, gently unpacked and placed alongside their fellow trinkets, doodads, figures and balls— adding to the continued story of a single family who travels along together on the continuum of a life, for good or bad, inextricably linked forever by a life forged by those who went before us and only to be continued by those who follow suit. The story of a family, as told by a tree. . . When visiting Vienna this past Fall, I wandered into a small shop sitting in the shadow of the great Stephansdom or St. Stephens Cathedral. St Stephens is a romanesque gothic wonder that stands on the same site in which it was first consecrated in 1147. The shop’s name is Cecconi (http://www.cecconi.at/) and it’s a shop specializing in arts and crafts, particularly woodcarvings. There is a huge selection of German hand painted metal ornaments. Wood carvings of animals, nativity pieces, decorative ornaments as well as religious pieces. I actually visited the store twice. The Christmas ornaments were all so pretty, meticulously hand painted and beautifully displayed. Wonderful small treasures to take back home as a reminder of Wien (Vienna). 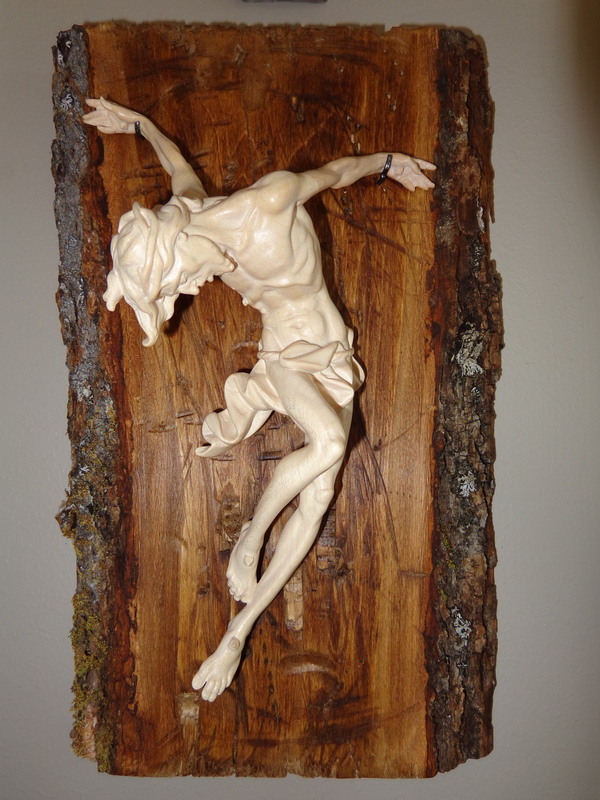 It was however a beautiful image of the crucified Christ which caught my eye as it hung on the wall behind the counter. I had never quite seen this type of particular “take” on the crucifixion. 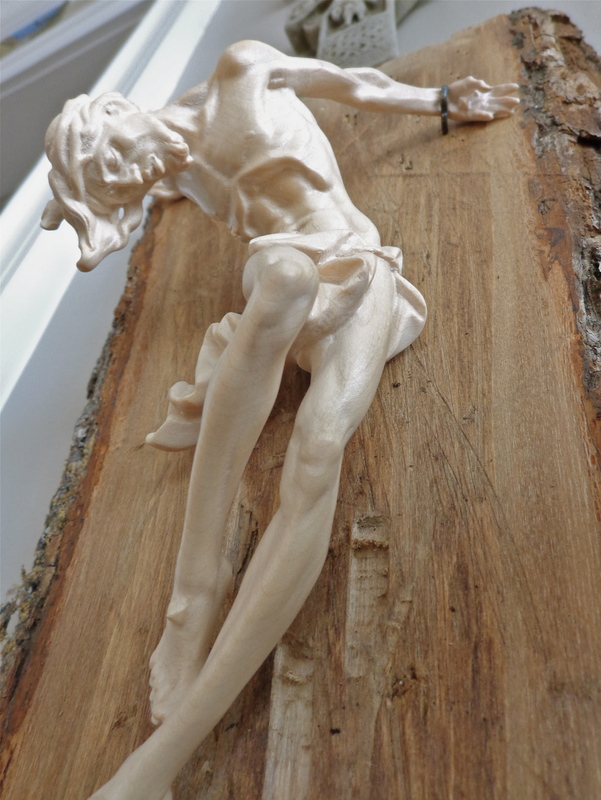 There was no cross, just a hanging, distorted torso, twisted in agony and at the exact moment of death–delicately carved from a piece of wood. It was captivating as well as moving. I asked how much, and knew I must purchase it. The young man whose family owns the shop told me that it is actually a copy of a larger “Christos” on display in the Alps. He told me that when I get home, I need to find the “perfect” piece of wood on which to display it–perhaps a piece of drift wood. He wrapped the carving in a mountain of tissue paper and I proceeded to carry it as if it was a baby for the remainder of our journey abroad. Once home, I scoured the woods and area around my house looking for a piece of wood. I opted to “distress” a piece of oak, as I don’t live near a place where I could find any drift wood. I added some broken nails for the carving to hang on and hung it in my dinning/ kitchen area so that those entering my home would immediately see it up on the wall. 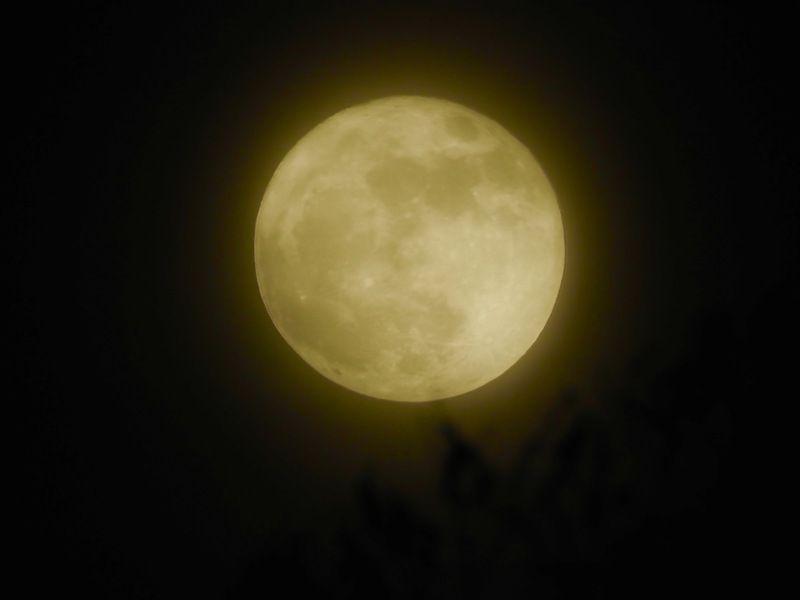 It is one of those things that holds your attention and doesn’t quite let go. As today is Good Friday I am reminded of what this small wooden display actually represents. It is a day that you and I all stand before the Cross–There is a vast heaviness as we stand today contemplating this very Cross. I want to share with you not only my small treasure from Vienna, not only a piece of beautiful artisanship, not only a unique display, but the very reason as to what brings us all to this particular day— the Agony and Death of One which gave, and continues to give, way to Hope and Salvation for All.